If you want to have your own local PeopleSoft installation, look no further. 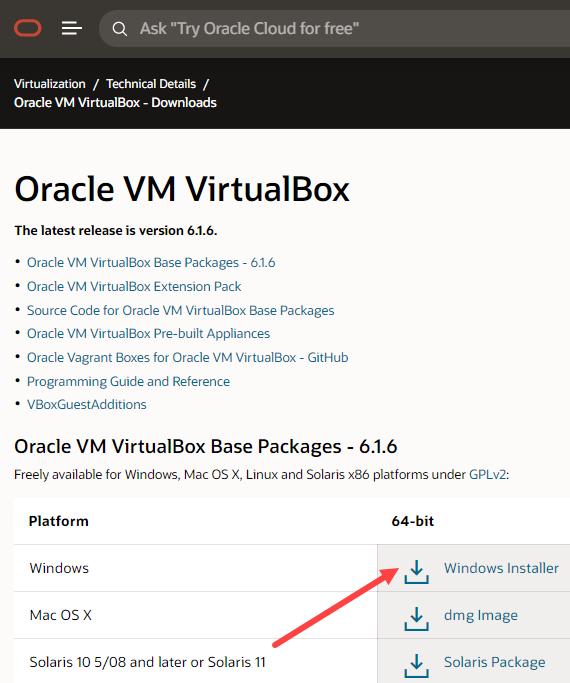 This post shows you exactly what I did to install PeopleSoft 9.2 / PeopleTools 8.54 on my Windows 8.1 laptop using Oracle VM Virtualbox. Installing SQL Developer and Application designer is covered in subsequent posts. A little bit of background first. I’d to re-image my laptop several weeks ago and have not had a local PS installation since then. So I decided to get FSCM 9.2 up and running last weekend. 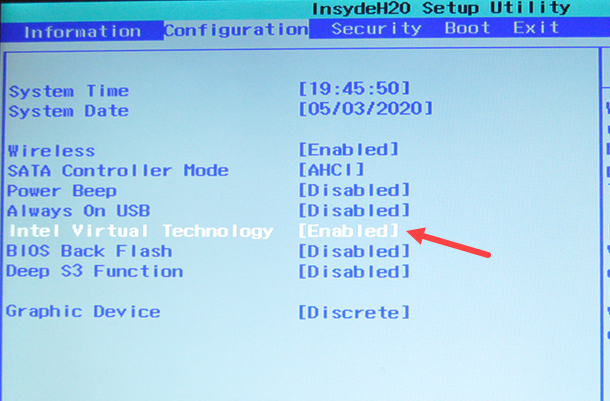 The laptop I’m using has the following configuration. Since Oracle started providing the VM images, installing PeopleSoft has become a straightforward affair. If you do not account for the downloading time, you can complete the full installation in little more than an hour. Before you get started with the installation, make sure to have a look at the prerequisites. To start off with the process, let’s first enable virtualisation support. This is done via the setup utility (press F2 while booting on Lenovo; might be different for other manufacturers) and is needed if you want to run a virtual machine on your laptop. To access the PUM home page, you would be required to log in to MOS. You would need around 150 GB of HDD space to download, extract the zips and initialise the VM. After this is done, you may remove some files (more on this later) to recover space. You would also need a 64-bit processor and a 64 bit OS. 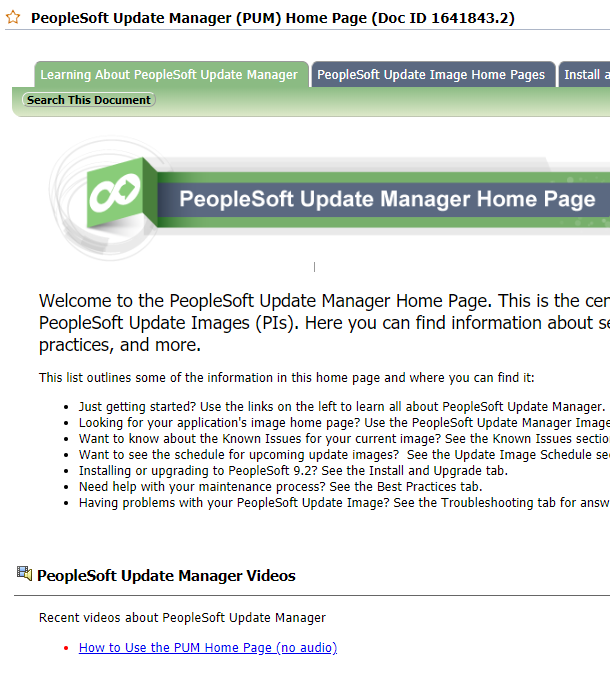 The second tab you see is PeopleSoft Update Image Home Pages. In the drop down menu that appears when you hover your mouse on the second tab, select the application you are after. 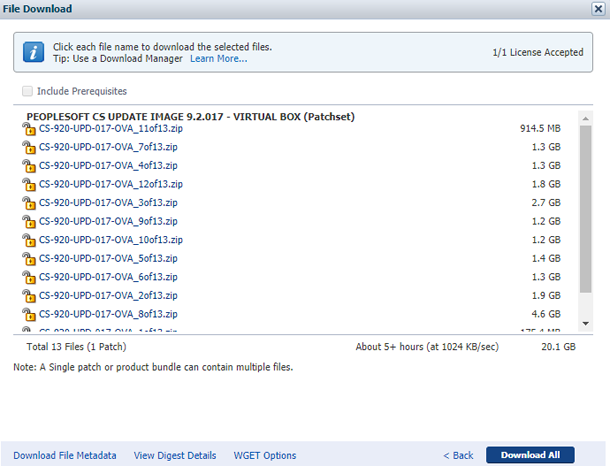 I’m selecting FSCM Update Image Home Page. On the FSCM update image home page, on scrolling down, you would see a table listing links to images. 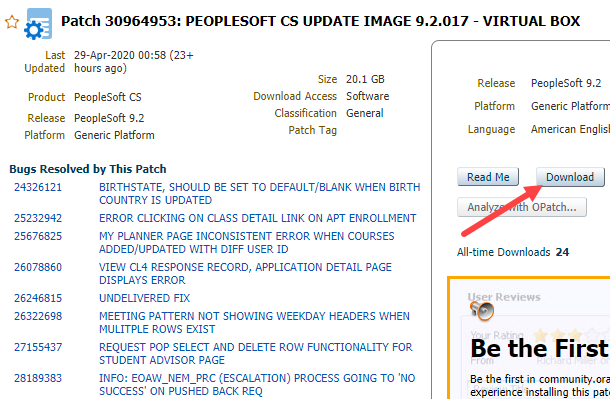 Click on PeopleSoft FSCM Update Image link. This one was posted on 6th March 2015. When you check out this page, you might have a newer one. This would open a new window listing the patch 20355668. This might be different for you. Click on the patch name to expand it and click on the download button towards the right of the page. A window pops up and prompts you to accept the license agreement. On the next screen, the list of files that need to be downloaded are shown. I used a Firefox plugin called DownThemAll to download all the files onto my laptop. It took me several hours to download. You may want to read this post on PeopleSoft Tipster for a speedy download. In the next page, you will see how these zip files can be extracted and then combined to get the OVA file. Glad that you found the article useful. Are you getting some error while trying to combine the files? The user is root and the password is the one you’d set in step 7. Very useful article. Good job. Hi Rakesh, thanks a lot for the useful article. Its very clear and precise. 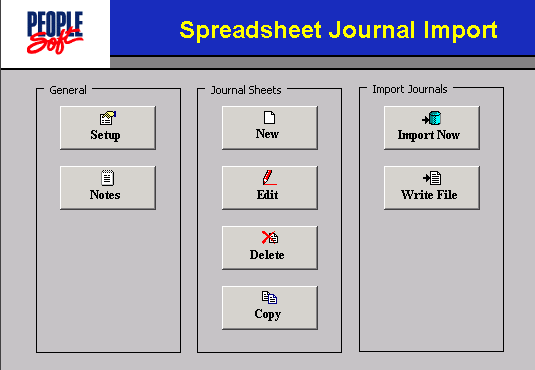 I have followed all your steps and installed Peoplesoft, Oracle client and People Tools. All are working very good but my peoplesoft is very slow. It is taking me very long to open a page. Please help me fix this. 8GM RAM, i5 processor, Windows 7 and 1TB HDD. Happy to know that the article was useful. 2GB is very low for the VM which could be making it slow. Even I also allocated 2 GB RAM for VM. What is your Recommendation. I do have my laptop with 8 GB RAM. I would prefer having 16 GB RAM on my laptop with 8 GB allocated to the VM. If your laptop has only 8GB, try allocating 4GB to the VM and see how the performance is. FSCM-920-UPD-016.OVA file through virtual box. Your OVA file seems to be corrupt. Open your ova_gen.bat file in a text editor and check if the ZIP file paths are correct. After verifying this, try regenerating the OVA file and then import. If this doesn’t solve the issue, you may have to download the files again. Hello Paritosh, were you able to solve this issue not being able to connect to the front end. II can ping the server at 192.168.56.101. I have the same issue???? I am able to create .OVA and imported it in VMbox. The instance is also created and I can boot appserver / webserver using PSADMIN command. VM but when I ping it from local machine it wont respond. I am also not able to access 192.168.56.101 through network folder. You should be using the IP you’d noted down in step 11. If you hadn’t noted it down, fire up your VM, in it’s command prompt type ip addr and use the ip shown against eth0. I have regenerated the OVA file and imported it successfully through VM box. I am also able to follow the above mentioned steps and can access Appserver/Webserver through PSADMIN command. However the front end link is still not coming up. I can ping the IP address from VM box but not from my local machine. I have Install with the same step. I am not sure Is New Image has Run time Cobol also ? And can you give some Idea How to configure App Designer for VM Instance ? I haven’t had a look at the new images. I’ve covered the tools bit in this post. Thank you for the great article. Is there a way to start psconfig to view and / or edit the app server and process scheduler configuration files? You can then invoke the Configuration Manager. You can use PSADMIN from the VM’s command prompt to manage App Server and Process Scheduler. when I go to your link provided. I am not able to go on next sceen. Pl check with the person managing your organisations Oracle support. He may need to approve your use of the support identifier. Thanks for your response Rakesh. I got that information from office and apprvoal as well. But I want to install PeopleSoft POrtal 9.1 or 9.2. Do we have any other link where I can see that reference or, I need to follow the same pattern that you showed in this artilce for FSCM? You can follow this article. Establish a user profile that gives you access to PeopleSoft Application Designer and any other processes that you will use. I could see this download of PS has to be done using an login from organisation. Will oracle is allowing users to use the PS downloads for personal use? I am trying to install PeopleSoft in my personal Laptop. Pl check with the person managing your organisations Oracle support, he would be able to provide you the support identifier. 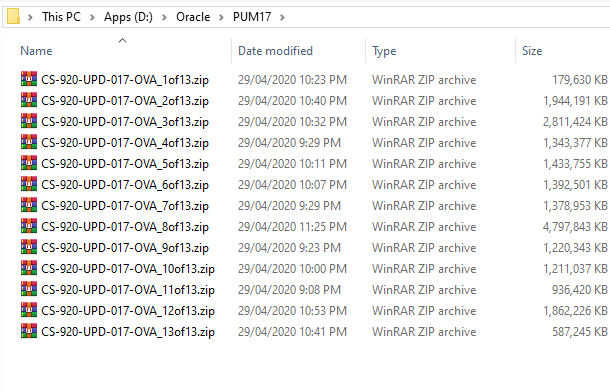 After I downloaded the ZIP files, upon extracting the Part 1, I am not seeing any ova_gen bat file. What could have happened? Pls help. It’s usually within the new folder that’s created when you unzip the file. This batch file will then have to be placed in the same folder as all other zip files. If this is not the case, please make sure that you’d unzipped the correct zip file with the name ending with 1of12. I checked all the zipped files none of the files contains ova_gen.bat file. Can you help me with this? I hope you remember me from the time when we used to work together. I am trying to install PS on my PC but unfortunately I don’t have the access to PUM using my Oracle Support account. Any suggestion or alternative approach. I do have access to “edelivery.oracle.com” portal and can download PS tool and Application. Long time man… I will email you soon. Thank you very much for your step by step guide. However, can I install peoplesoft in my laptop with following config: RAM: 4GB, Processor i5, HDD 500 GB?? will there be any performance related issues arise if I install in my laptop? 4GB might not be enough to run the VM properly. HI Rakesh great article, is there any any way that I can access the db ? does this installation come with a default db? I’m completely alien to psft , my main purpose is to plug in this psft db as a source to Oracle BI Applications . I installed this virtual box, please help me to on installing App designer steps. I have completed 1year as PSAdmin and tired of clearing cache in my office and want to explore more. Your RAM might be too low. I don’t have Support Identifier to create a Oracle account to Download required PeoplSoft file. Could you please help in providing the one. Pl check with the person managing your organisations Oracle support, he would be able to provide you with the support identifier. How do I know which Image I am running? Need a help, I would need to install PS 9.1/9.2 with PeopleTools 8.5x on a network server at my office, would you please let me know the steps and what files to be downloaded from eDelivery site. I want to use MS SQL Server as backend. Please help me to get this. email me with all the information. Can i install peoplesoft on windows 10 OS ? I didn’t see any ova_gen batch file on any zip files so that I can’t generate the OVA file..
btw, I downloaded the Campus Solution 9.2 for Virtual Box. I did run into difficulties; but thankfully I’m up and running smoothly. I’m learning all about the new AWE; and wondering about the steps to get emails up and running. From memory, I didn’t have to do anything to get emails working. Just that my VM’s network adaptor was set to Bridged network adapter.